Poquonnock Bridge Baptist Church strives to be a welcoming Christian community in which we all desire to work together in order to strengthen our relationship with God and with each other; to reach out to one another, our neighborhood, and our world, in the Spirit of Jesus Christ. Throughout the year, we hold special services celebrating Easter, Christmas Eve, Children’s Day and Rally Day, as well as services for baptisms, prayer shawl dedications and new members, among others. In case of a weather event, please check this website or local news channels for listings and information on service cancellations. Sunday service begins at 9:30am and typically last an hour. Dress is casual. A nursery with speaker is available for parents with infants and young children during worship. We invite you to join us for a time of coffee, fellowship and refreshments in our lounge following the service. Children and youth begin upstairs at 11am with music followed by Sunday School class. Adult Bible Study with Pastor Claudine meets downstairs in the Purple Room at 11:15am. Rev. Claudine Crooks grew up in New Britain, CT, where she was an active member of South Congregational-First Baptist Church. It was there that she was ordained to Christian ministry in 1990, after earning her Master of Divinity degree from Colgate Rochester Crozer Divinity School in Rochester, NY. For nine years she served as pastor of the First Baptist Church in Elmira, NY, before moving back to Connecticut. 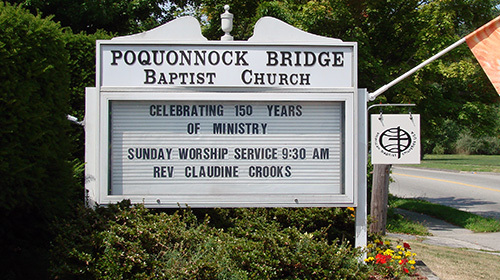 After several years of staying at home with her children and doing some interim and pulpit supply work, Claudine was called to serve as pastor of the Poquonnock Bridge Baptist Church here in Groton, CT, where she continues in full time ministry and will soon complete her sixteenth year of service. She and her daughters, Heidi and Noelle, love living in the parsonage and making Groton their home. They enjoy music, theater and the company of family and friends, and they feel blessed to share God’s journey of life and faith with this thriving congregation. 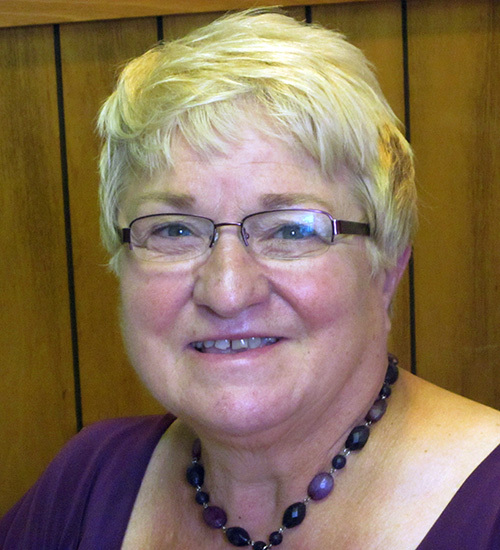 Barbara has been coming to Poquonnock Bridge for four years and has recently taken on the role as church secretary. She is tasked with creating the weekly bulletin and the church newsletter as well as greeting everyone in the office throughout the week. 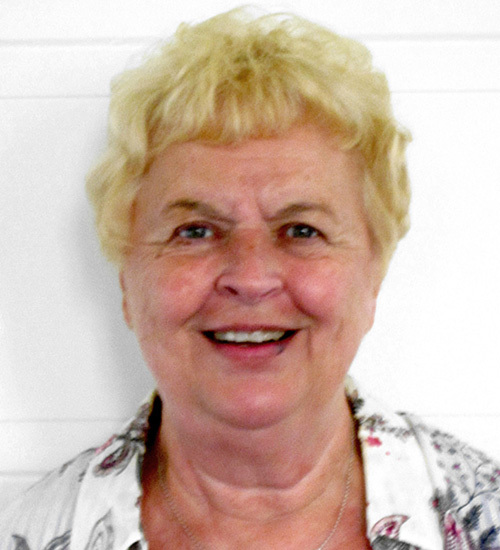 She has been married 50 years and has four grandchildren and one great grandson. She and her husband enjoys traveling and their goal is to see all 50 states, of which they have visited 44. Belle inherited her job as church custodian from her late husband. At 74 she still enjoys keeping church a clean and neat place for all that use the building. If stuff is not put away, you just might find it in our next tag sale.